Do you ever have nights when you can’t figure out what vegetable to serve with dinner? I often have that problem. I feel like most of the time we have steamed broccoli, corn on the cob, balsamic green beans, or roasted vegetables. 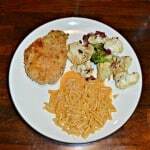 My husband and I get tired of the same old weeknight vegetables so I’m always looking for something new that’s easy too. I found a recipe for crispy green beans with sriracha mayo. I’ve been growing green beans in my yard and they’ve had a lot of green beans at the farmer’s market so I knew I could grab a bunch of them. 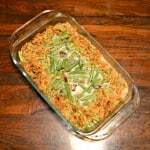 The green beans are dipped in eggs and panko then baked in the oven. Then they are served with a side of Sriracha Mayo. 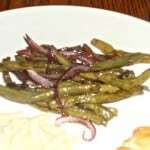 The green beans are crispy and delicious. I love that I can use a fork to eat them or just pick them up and dunk them. 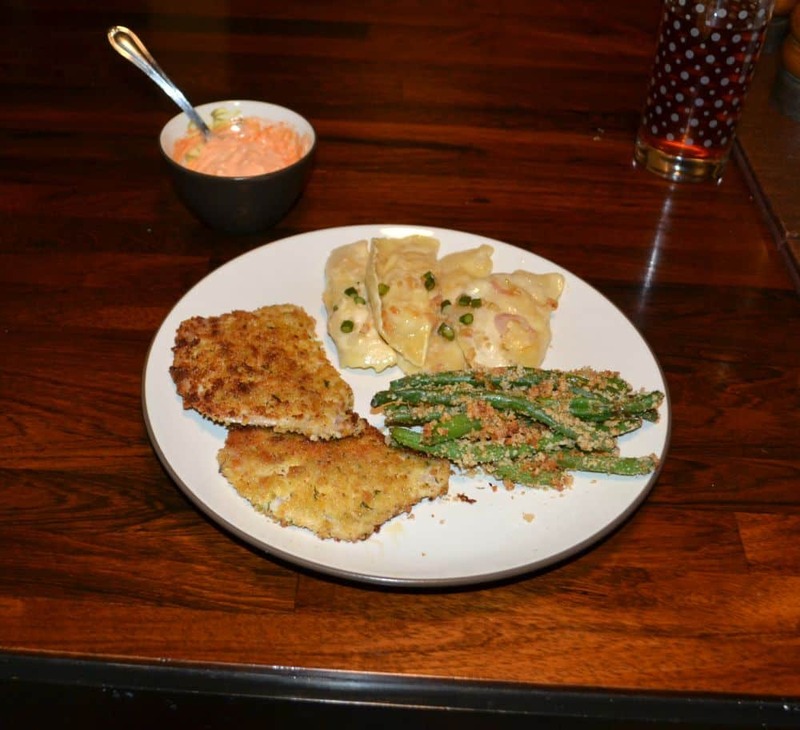 The Sriracha Mayo is cool with a spicy finish and goes well with the green beans. 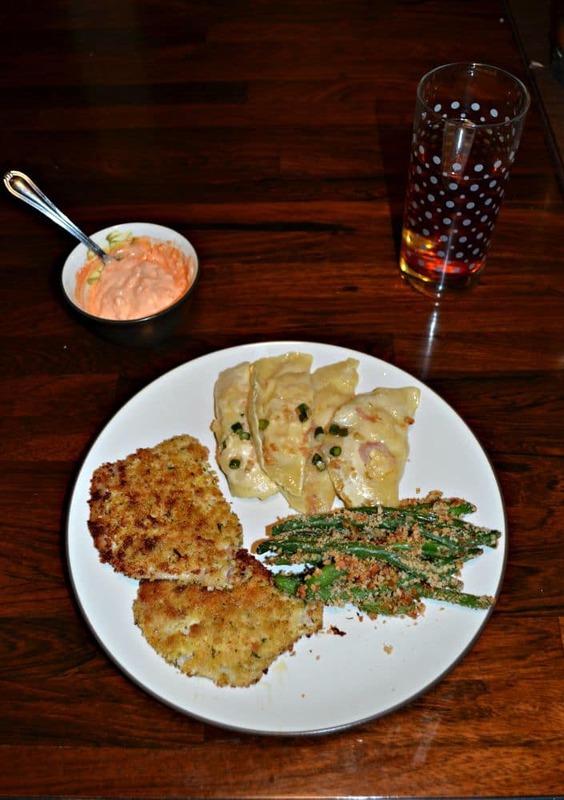 Panko Crusted green beans served with a side of Sriracha Mayo. In a small bowl combine the mayo, buttermilk, Sriracha, and lime juice. Mix well and refrigerate until ready to use. In a shallow dish beat the eggs. In another shallow dish combine the panko, garlic powder, pepper, and salt. 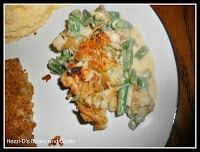 Dip the green beans in the eggs and then into the panko. Place on a cookie sheet sprayed with cooking spray. 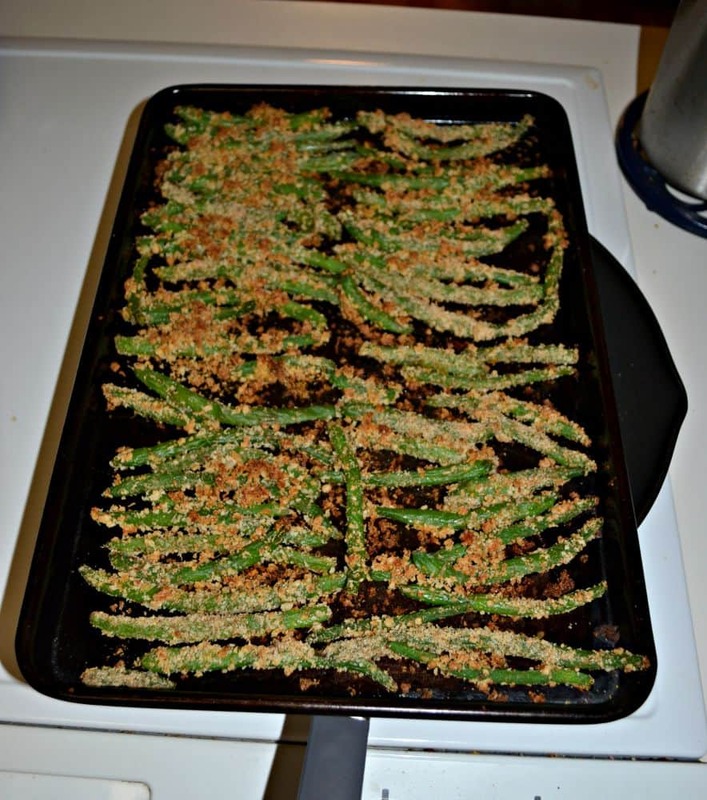 Bake for 20 minutes or until the green beans are cooked and the Panko is golden brown. Serve with Sriracha mayo dipping sauce.